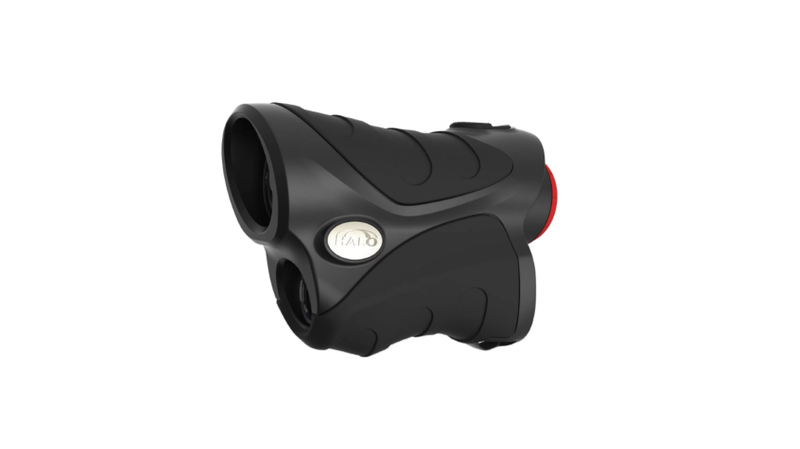 The Halo X Ray 600 is a competitively priced laser range finder from Wildgame Innovations. It surprised me with a few features that I would have expected to only find on higher priced rangefinders and delivered a very solid performance overall. This range finder doesn’t quite live up to the standards and brand recognition of a Bushnell product, but it does what you expect from it out in the field and offers great value for money. Let’s take an in-depth look at what makes the Halo X Ray 600 ticks to see if it should be on your next shopping list. 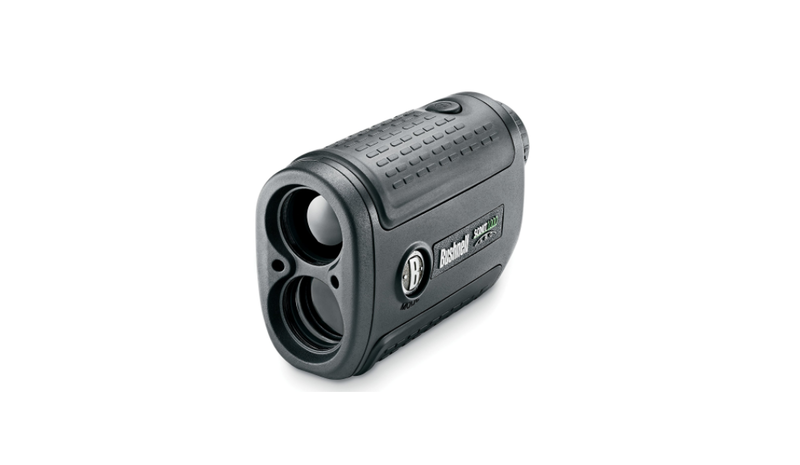 Click Here to See Our List of the Best Rangefinders. The Halo X Ray 600 has a very ergonomic design and is compact enough to fit in the palm of your hand. It is also lightweight enough that you will barely notice it on a hunt, which is always a bonus. I’ve tested the rangefinder out in the elements and not only did it hold up well in all conditions, the non-slip housing also ensured that it was always easy to grip, even when wet. The casing looks rugged enough to withstand a few drops and the design features large, rubberized switches which are very easy to operate even when you are wearing thick gloves. I did notice that the focus knob is initially very stiff, but with regular use it started to loosen up and became more comfortable to operate. Initially though, you are going to have to use two hands to get it to turn. The rangefinder uses a CR2 lithium ion battery, which is not included, but Wildgame Innovations did throw a nylon pouch in the package. Even with the price of a battery, the Halo X Ray 600 works out less than some other rangefinders on the market, so it isn’t a bad deal. About the only design feature that could have used a bit of improvement is the battery cap which is not that great and will certainly break if not handled with care. 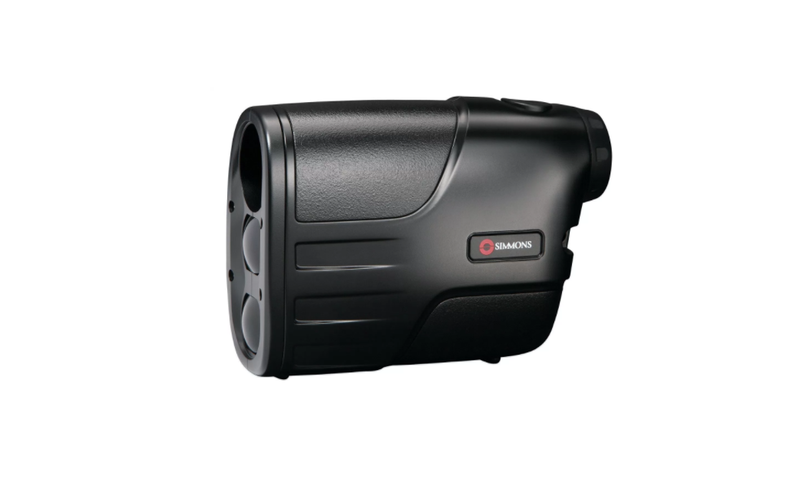 This rangefinder boasts 6 x magnification and can measure up to a maximum distance of 600 yards. Obviously the maximum range only applies to reflective targets, but you’ll find that you still get good range out of it when used for general hunting. The 6 x magnification is a nice feature as most of the cheaper models tend to stick to the 4 x magnification. I was also impressed to find that the Halo X Ray 600 has a scan mode which allows for constant ranging. This feature is very useful in situations where you need to track moving targets and is activated with the touch of a button, so you don’t have to keep hitting the button to get new readings while tracking movement. It also works great for ranging multiple targets. Another nice feature to have on a rangefinder is that it accounts for slopes and the Halo X Ray 600 does so with its Angle Indicating Technology (AIT) feature. It is precise to +/- 1 yard and if you hunt in mountainous areas you will love this feature. The display is unfortunately a bit hard to read in low light conditions, but this is an issue I find on lots of cheaper rangefinders and it is certainly not unique to the Halo X Ray 600. I should also mention that distance is displayed only as integers, but if you require the accuracy of extra digits after the decimal point you would probably want a much more advanced (and more expensive!) rangefinder in any case. After doing some tests with distances that have already been measured it became clear that the Halo X Ray 600 is pretty accurate and displayed readings very close to the measured figures. Just for fun I also compared the results with what I got from more expensive rangefinders and once again the figures came pretty close. 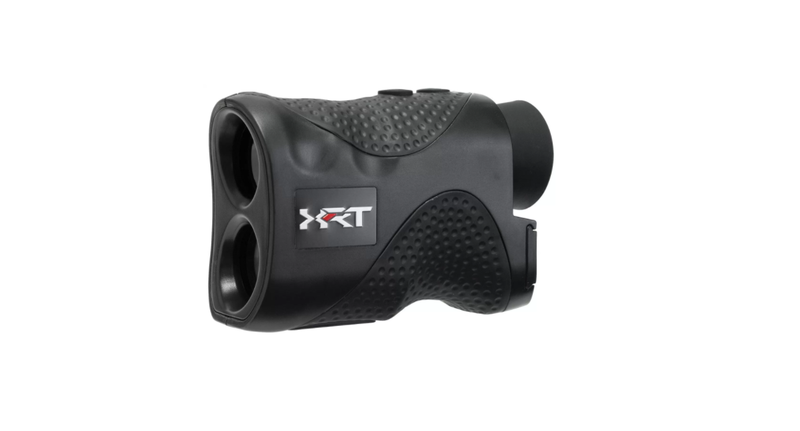 With the Halo X Ray 600 Laser Range Finder you get what you pay for and while it offers plenty of value for money there are a few factors that detract slightly from the experience. Take a look at the pros and cons below for an overview of how the Halo X Ray 600 measures up. The Wildgame Innovations Halo X Ray 600 Laser Range Finder is a great product for its price class and all the issues I have with it are relatively minor in the grand scheme of things. I would definitely have liked to see an illuminated display and the fact that it uses the more expensive and harder to find CR2 batteries does count against it a bit. Other than that it is a lightweight and compact piece of equipment that will stand you in good stead no matter what weather conditions you are hunting in. It also has features that are usually found only on more expensive rangefinders, so you are definitely getting value for money. For new users or even seasoned pros that want a lightweight backup rangefinder, the Wildgame Innovations Halo X Ray 600 Laser Range Finder will not disappoint.